Introduction: Immune suppression is a physiological phenomenon resulting from the cooperation of many actors, both humoral and cellular, which continuously interplay each other leading to the impairment of immune response. Immune suppression is necessary to avoid tissue damages and, ultimately, life-threatening situations which could be induced by the maintenance over time of the immune response. Unfortunately, during neoplastic disease, immune suppression favors tumor progression. Cell mediated immune suppression: Immune response starts with the antigens recognition by APCs, their presentation to naïve T-cells and the reactive T-cells generation. 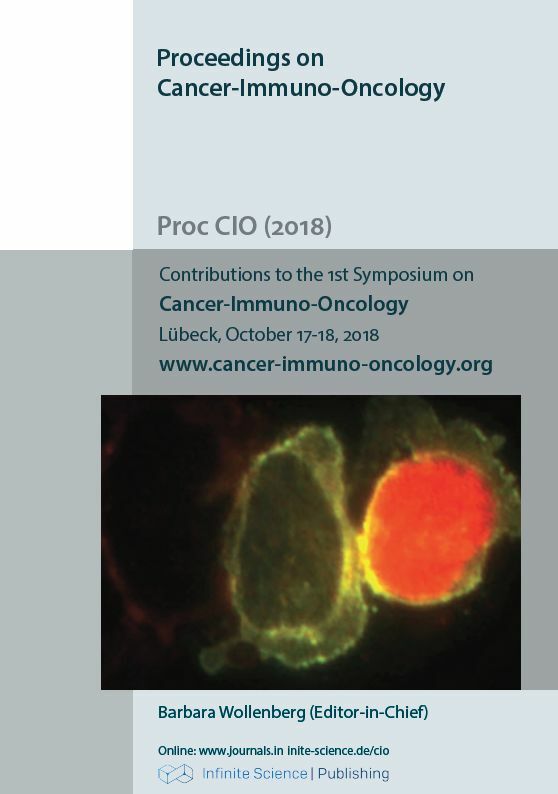 Tumor has profound influence on the DCs maturation, and immature or partially matured DCs are largely represented in most tumors and mediate immune suppression. A second key-point leading to the impairment of the immune response is the capability of effector T cells to cross the vascular endothelium to reach their targets. Thus, endothelial cells may represent powerful mediators of immune suppression, selecting the populations of cells which can cross the barrier and preventing homing, or directly killing those that must be stopped. The third and most important area of immune-suppression is the local tumor microenvironment (TME) where the plasticity of immune cells and stromal cells allows the polarization toward a Th2 response. Indeed, tumor cells may directly secrete immune suppressive cytokines and chemokines prone to impair immune attack. In addition, the persistence of inflammation changes in the TME, such as pH modification and hypoxia, may impair the activity of effector T cells, both directly and indirectly. Targeting of immunosuppressive cells: There are two main opportunities to target immunosuppressive cells. It is possible target specific cell lines directly using classic anticancer drugs. For example cyclophosphamide and gemcitabine, can directly target Treg and MDSC respectively. It is also possible to exploit the plasticity of immune cells to reprogram them towards a Th1 response. For example, inhibition of PD-1/PD-L1 axis prevents Tregs (iTregs) induction leading to the reduction of this population into the TME. Translational data on targeting immunosuppressive cells will be discussed.